When I first moved to New Westminster in 1994, I was somewhat grossed out by the brown, silty, seemingly-sluggish Fraser River. It took me a few years to really get it—that New Westminster exists as the city it is today because of, not despite, the Fraser. 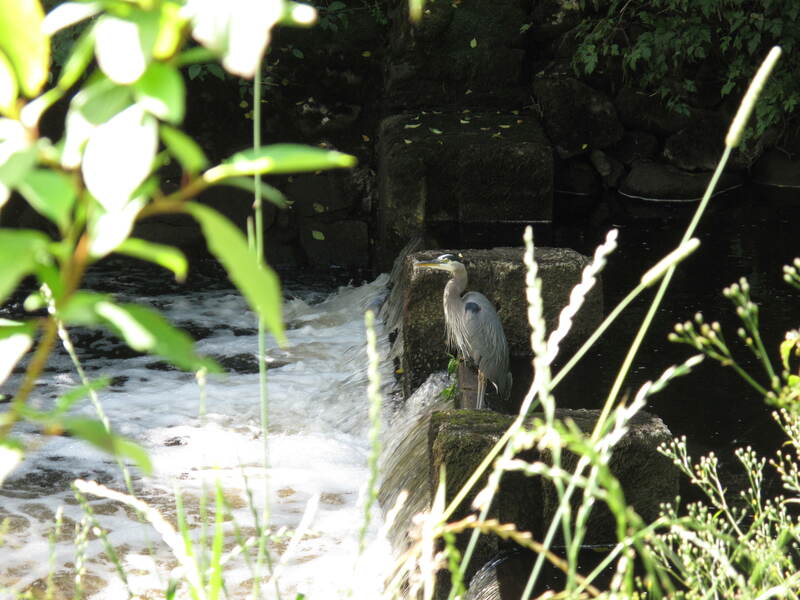 It’s a beautiful waterway and its role in the development and shaping of our community is pivotal. But it’s not the only river. 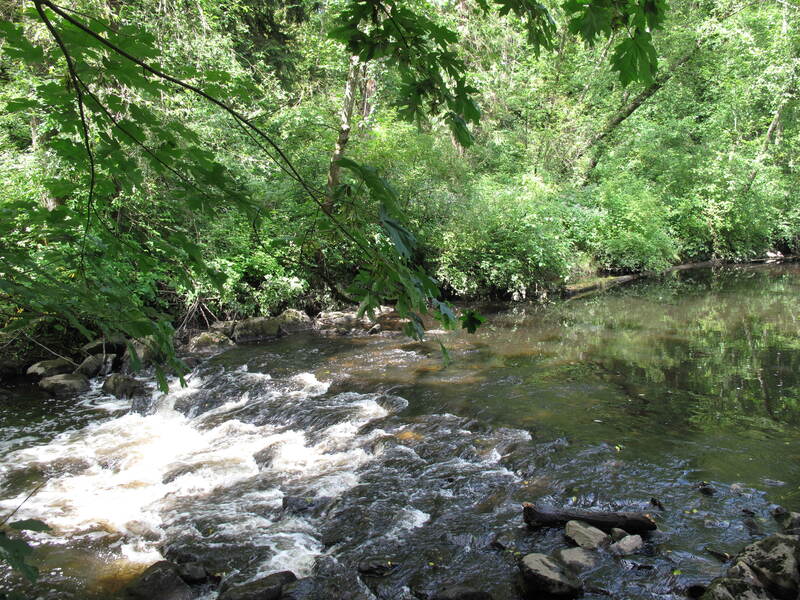 The Brunette River (as seen above and in the other accompanying photos) is on the east edge of our community and is an example of quiet, hard work and a delicate balance. When was the last time you went for a stroll? One of the more complicated parts of understanding what a river means to a community is to understand its function within the community. Working rivers around the world all have different relationships with the communities on their banks. Does the river provide mostly recreation? Transportation? Food? Communication? It’s often not just one answer. And in New Westminster, the Fraser and Brunette Rivers provide us with a lot. The Fraser River Discovery Centre located, naturally, on the riverfront of New Westminster, offers interpretive and interactive displays about the river. They often discuss three pillars in their work: industry, environment, and the socio-cultural aspects of the Fraser River. 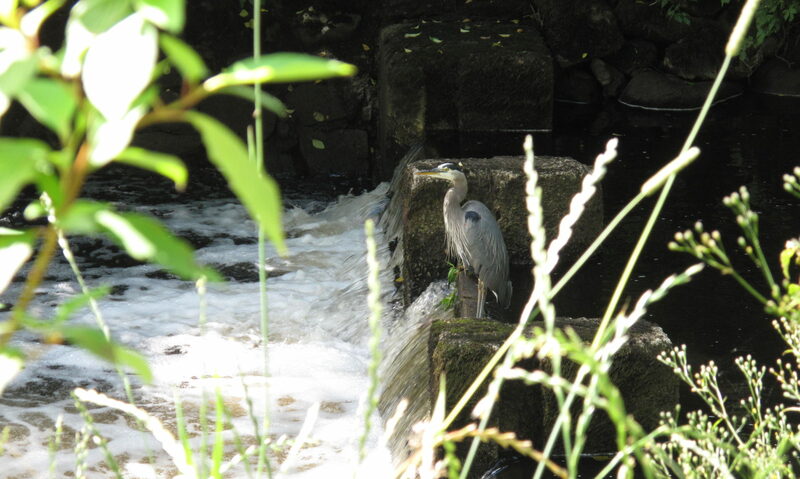 The river inspires us, it moves us, and it anchors our city. It is strong, and, unlike our roads with their accidents and construction and rush hour traffic, it is fairly predictable. While flooding, high water levels, and ice have been recorded on the Fraser a number of times over the years, the rivers in our community are fairly constant. This month, we’re exploring what rivers mean to all of us. If you’ve got something to say or show about rivers, please get in touch. 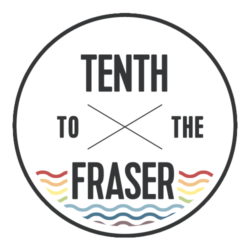 Tenth to the Fraser exists because of contributors who share their stories, and we’d love to hear from you. Our third print edition, highlighting the same theme, is also now out at our local distributors. Articles from the print edition will be posted in the next few days. 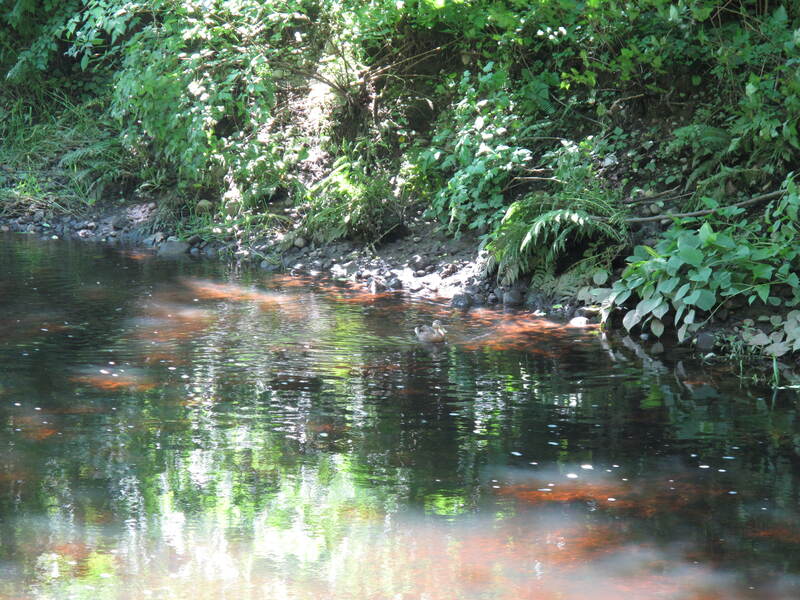 The importance of rivers around the world are acknowledged on World Rivers Day which is the last Sunday in September. In New Westminster, the Fraser River Discovery Centre hosts activities at Riverfest on September 23 and 24 from 11am to 4pm. 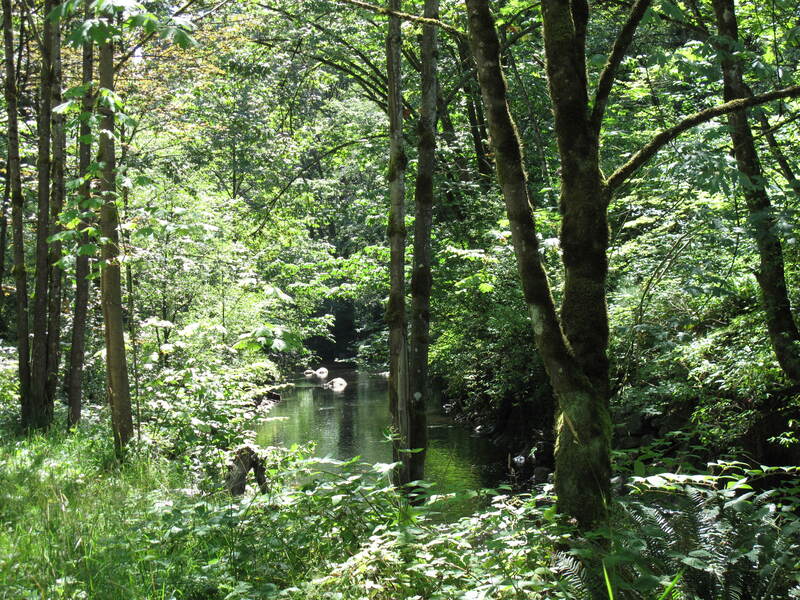 If you can spare some time to roll up your sleeves, sign up for Evergreen BC’s Uncovering Your Creeks program that runs in Lower Hume August 14 and September 11 from 9am-12pm. The New Westminster Environmental Partners (NWEP) are partnering with the Queensborough Special Projects Committee to host the Great Canadian Shoreline Cleanup along South Dyke Road in Queensborough on Sunday, September 18, from 9:30am to 1:00pm. Contact the Sapperton Fish and Game Club to see how you can get involved with their organization – see their profile in this month’s print issue by contributor Kyle Routledge. Want to learn to fish? The Queensborough Community Centre is offering a free Learn to Fish event on August 21 and 24 from 2pm to 6pm. Mentors and newbies needed! Call for details at 604 527 7388 or watch our site for a few more details later this week. And last but not least, don’t miss Tourism New West’s Feast on the Fraser September 23 through to October 3, which will celebrate local goods from growers and producers along the Fraser.